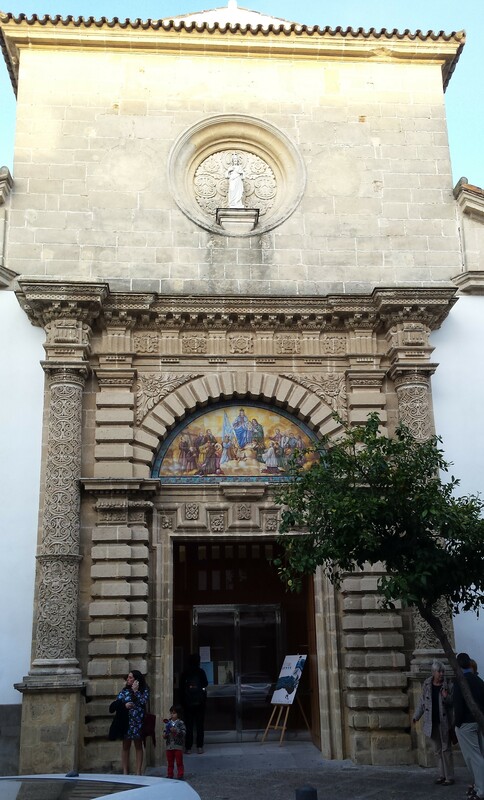 Regular readers of this blog will recall a number of posts earlier in the year on the Festival de Jerez – a flamenco festival. Having taken many photographs of the venues, I promptly left my camera abroad and was reliant on the kindness of friends who let me use their pictures. I have now retrieved my camera and can share the photos with you. If any of you were feeling inspired to attend the Festival, or are thinking about it, these give you a flavour of where the events take place. 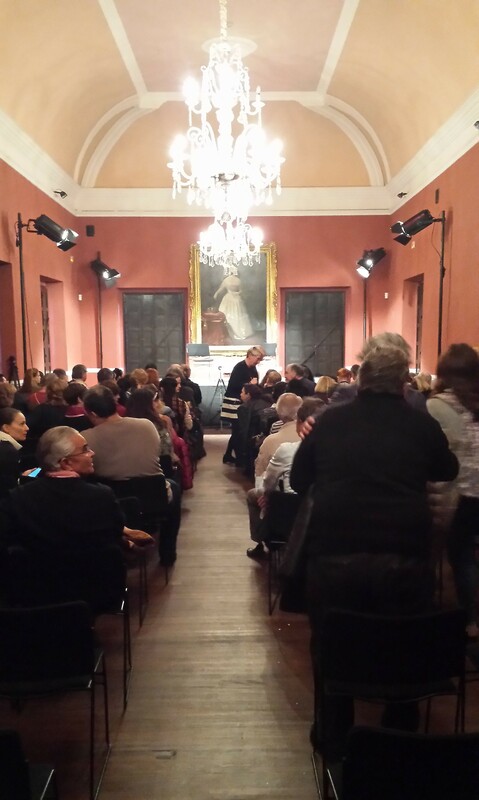 My favourite venue is the Palacio Villavicencio ( see right ) a grand room in an 18th century palace for the more intimate recitals. But I don’t think it’s the oldest venue. That distinction probably goes to the Sala Compania, which is a converted 16th century church ( see left ). This has been beautifully restored and is used for art exhibitions and film screenings as well as live performances. One word of warning, the seats here are the large, cinema style, armchairs and are amazingly comfortable. This can be a problem with very late performances – not during the performances themselves, of course, but certainly waiting for them to begin. The distinction of being the oldest is ‘probable’ only because I don’t know the age of many of the buildings which house the small Flamenco Clubs and the Tabancos, sherry bars where the ubiquitous drink can be purchased cheaply, straight from the barrel. 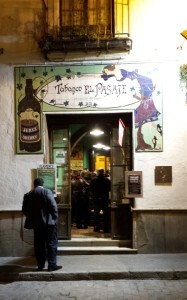 One such, with a burgeoning reputation for flamenco performances by local artists, is El Pasaje ( right, below ). It is just as described, a passage between two streets and, though it’s been smartened up of late, it’s still pretty authentic. Given its size, it gets very crowded, especially as the tables near the performers ( sometimes all the tables ) are reserve for folk who have paid for food, drink and a table throughout the evening. I can recall very enjoyable evenings when I have stood with friends, amidst the crush, to listen to the music and consume more sherry than was good for me. There are lots of small, local, bars like this which provide live performances during the festival, as well as the larger establishments. 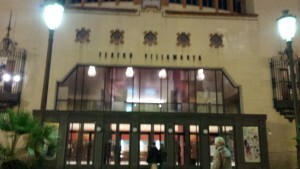 The largest venue is the Teatro Villamarta, Jerez’s 1920s theatre, where the ‘full show’ performances are staged, the ballets and the flamenco company touring performances. It is a big theatre, but I have never seen an empty seat at a performance ( and I have been to more than a few ). The audience is international, but with locals in the majority. It was here that I first heard the distinctive Jerezian demand for an encore, a rhythmic clapping and stamping which just doesn’t stop ( and shakes the auditorium ) until the artists return to the stage. 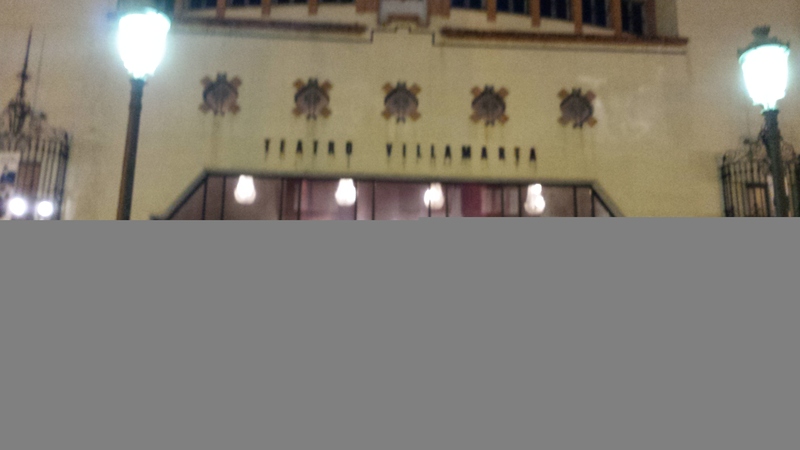 The theatre doesn’t have a bar or a restaurant, but there is the Teatro Bar next door, where tapas and glass of wine are available for a few euros and there is often live music too. Prices for these venues vary, depending upon artist and, in the theatre, class of seat. 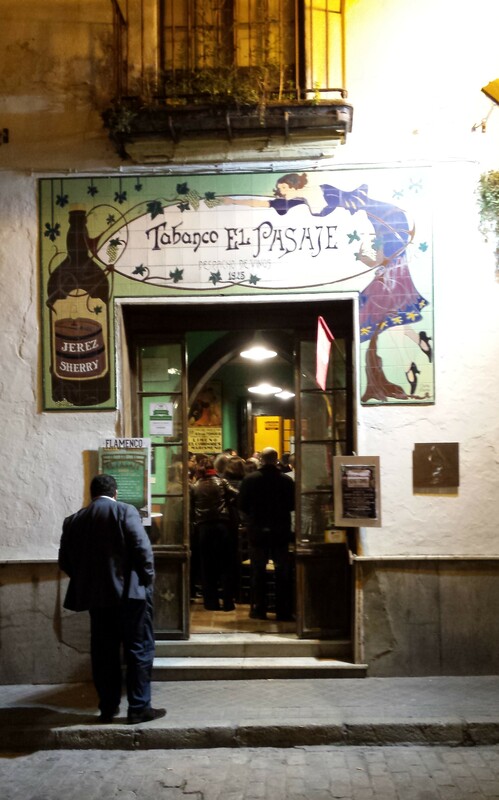 A rough estimate which I use is thirty to thirty five euros for the theatre, fifteen to twenty for Sala Compania, fifteen for the Palacio and twenty for the Sala Paul, not pictured here, a converted bodega. The Tabancos and other bars are free, but you are expected, not unreasonably, to make a purchase of some kind while there.